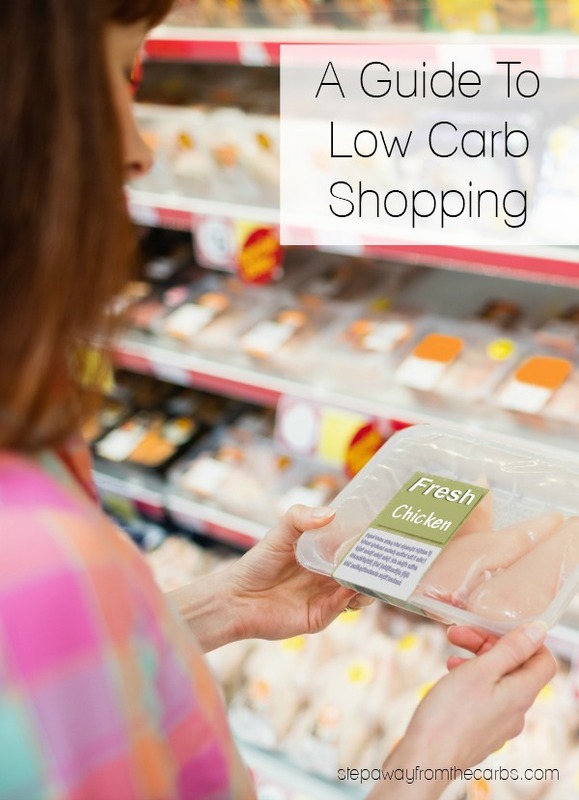 Here’s a handy guide full of top tips for low carb shopping, both in-store and online! 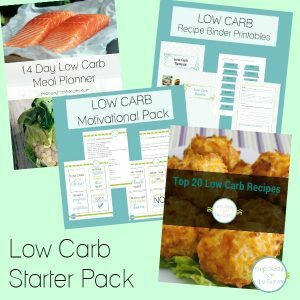 Shopping for a low carb diet can feel like a minefield when you first start out, so I wanted to put together this guide to help out! I’ve included tips for shopping in stores but also online. AND I’ve included some shopping tips from some of the top low carb bloggers around! Many of the rules for general online shopping also apply when looking for low carb products. But if you stick to low carb sites (here’s a link to my favorite low carb online stores) then you can’t do too much damage in terms of buying high carb food, but you might get carried away and order way too much! One of the many benefits to ordering online is the ability to read user reviews. As soon as there are more than around 10 reviews for a particular item, you start to get a good idea of whether the product is worth buying or not. When you’re at your computer studying carb counts you won’t look like a geek! So if the product you’re considering doesn’t show the nutritional data, don’t buy it! Even if a product is on a low carb site, always check the nutritional data to ensure it fits in with YOUR idea of a low carb product! Some sites offer comparisons between several products – this can be great for making an informed decision about food you haven’t tried before. The downside to ordering online is that you risk getting less product for your money, because you may not always take in the size of the actual product. Pictures can sometimes be misleading – showing a whole case of something when you’re only getting one! Double check the details before placing your order. Once you are an established customer of a site, it is easier to re-order products that you know work for you. 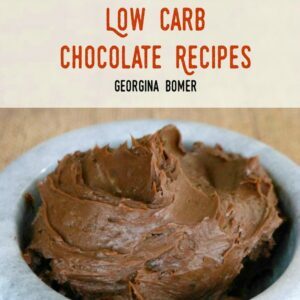 For a full list, see my Low Carb Supplies List. Sometimes, this is unavoidable. But if you CAN avoid it, then DO! Supermarkets can be pretty sneaky about tempting you into impulse buys – and if you’re hungry you might not always make the right decision. In order to make a list, you’ll need to do some meal planning. Meal planning may feel time consuming but it is better for you financially to have complete meals rather than assorted items that you just fancied while out shopping. If ye olde pen and paper doesn’t work for you try a shopping list app on your phone like Cozi – or check out a review of apps here. Or check out my new free shopping checklist for some basic low carb pantry items! I don’t mean getting around the store quicker! 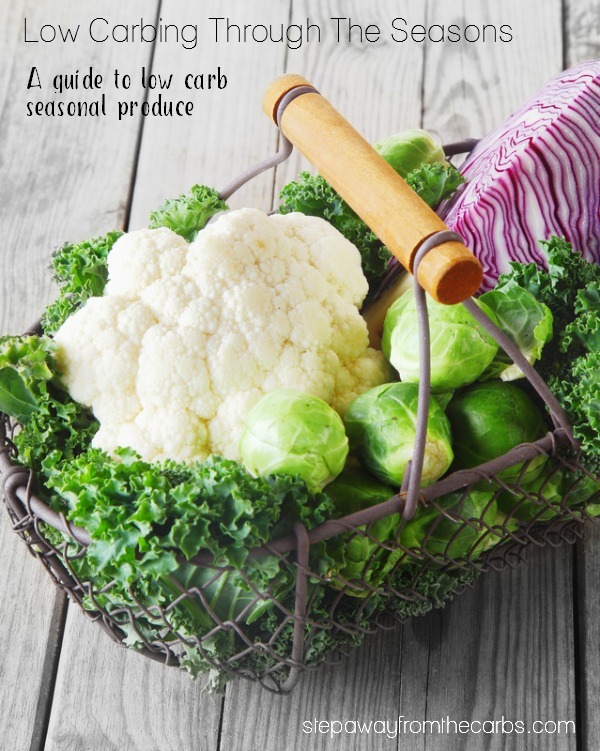 Check the produce section for prepared items such as riced cauliflower, coleslaw mix etc that will make things easier when it comes to cooking time. Meat counters often have prepared dinners for you to cook at home – but be wary of anything in a sauce that may contain flour, sugar etc. Yes, it DOES make you look a bit geeky. 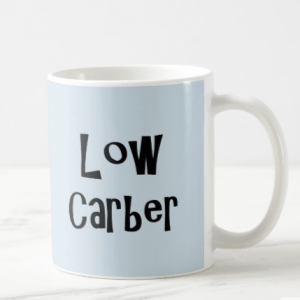 But you just can’t assume that because an item *looks* low carb, it *is* low carb! Make sure you understand nutritional data tables and how to calculate net carbohydrates. What if the item doesn’t have a label? Make sure you have a handy app on your phone that will let you quickly check the carb content of fruit, vegetables and more. Try Nutrition Data, Nutrition Facts or this handy app Serenity Simple Carb Counter that helps work out net carbs. I remember one day picking up a small can of soup and at a glance, the carb count looked OK-ish. Then I realized that the serving size was for TWO. There couldn’t have been more than a cup in this little can and as far as I’m concerned, half a cup of soup does NOT make a serving! Manufacturers want the nutritional data to look good on their products, and will sometimes keep the serving sizes very low to entice customers. This just makes sense for any food shopper – for both taste AND financial benefits! Check out my helpful post Low Carbing Through the Seasons. When you’re not stocking up on cheap fillers like pasta and bread, a low carb diet CAN get expensive, generally because the food you’re purchasing instead is fresher, higher quality, and not mass-produced! Check out reduced priced items or bargain stores for low carb staples – and bulk buy non-perishable food where possible. Consider stores like Omaha Steaks for awesome deals on steak and other meat! Are you looking for a shopping checklist for some basic low carb pantry staples? Check out my FREE printable to get you started! Thanks for all the tips!!! I need to get a shopping list app on my phone! 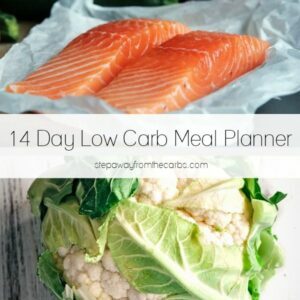 These are all fantastic tips for low carb shopping! It is so true that low carb shopping can get expensive – because you are staying away from the cheap fillers like pasta, bread and rice. Therefore, to be organised is a must. This is a great article that sums up all you need to know when you want to eat well without having to emptying the coffers every time you go to the shops! This is a great article! Shopping can be so overwhelming for people that are new to the low carb diet. Love these tips! Especially checking the serving size, they definitely try to trick you sometimes! Nice article, Georgina. Thank you for including a tip from me. I enjoyed sharing this on my FB page and had some nice engagement on it. I go grocery shopping for the month, I will get veggies every week to 10 days so nothing goes bad. I can make meals last for a couple days. My neighbor has chickens so now I’m able to save money by not buying eggs every week. Plus NOT having to go shopping all the time has saved me on gas money too. That’s awesome, Kate – planning is so essential!